When you look at the numbers behind social media, it’s hard not to be swept up in the excitement. 700 million users on Facebook! 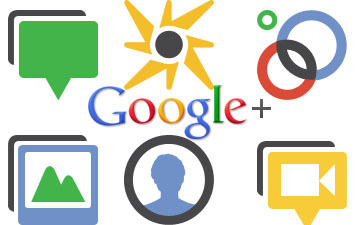 25 million on Google Plus in the first month! The numbers are staggering and on the surface appear to be a compelling reason to get on board. After all, with stats like that who wouldn’t want a piece of the action? But while I believe without a doubt that every business needs to be engaging in the social web if not now then definitely within the next 2 years, they must learn to change their approach. As marketers, the numbers that have been drummed into us as important by mainstream media are all about impressions and reach, which is what makes the size of Facebook and Twitter so appealing. But don’t be seduced by them. You will never, ever reach 700 million people even if you are a major brand like Coca-Cola. Social media platforms are not so much a single network as they are a collection of linked micro-networks (or nicheworks) with a shared architecture, each one brought together around different areas of interest. It doesn’t matter if a community lives on Facebook or a specialist platform for Nigerian beekeepers living in Holland, the size of the network isn’t what holds it together, it’s the strength of the connections within that community. 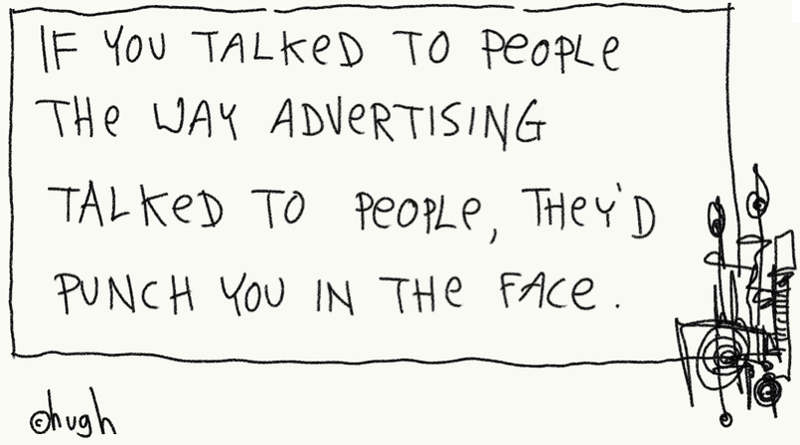 To (poorly) paraphrase Seth Godin in “We Are All Weird “, we are at the end of the age of mass, where brands can no longer hope to be all things to all people. For communicators, this means speaking to people (after all that’s what we want: conversations) as individuals, not a target market. The question becomes not how many eyeballs can we reach, but how valued a member of the community can we become (or in the case of a Facebook, how valuable the interactions we facilitate on our page). Granted, some brand can be very successful not engaging in unique conversations because they have scale (see: Coca-Cola and their 36 million Facebook followers) but for the majority who don’t have access to that kind of audience simply broadcasting will have little impact. The secret sauce (or at least one of) to social media engagement is not to be all things to all people (that’s mass), but becoming something great to a few: your most passionate, loyal and engaged customers, and empower them to advocate on your behalf. Not to say that you should ignore the rest, but with the fragmentation and abundance of competing messages, it’s an uphill battle to win the attention of someone who may not be so hot on you. Better then to put your energy towards doing something that genuinely thrills and excites the few who do care about your brand. It’s been a few weeks now since Facebook announced a slew of new changes. If you’re reading this blog, you’ve probably already read thousands of words far more eloquent than mine about the ins and outs of the changes. Suffice to say, like Prakky, it has rekindled my love of Facebook. Why you ask? Because Facebook has made it all about me again. The ability to curate old posts, add new milestones and generally better tell the story of my life via Timeline has put us – the users – right back at the centre of social networking. And that’s a good thing. I also remember a time when Facebook used to be lived in your friend’s profiles, but the introduction of the newsfeed changed this dynamic (for the better) but also meant that as you people became more active on Facebook your timeline could quickly fill up with crap. The introduction of the ticker and lightweight status updates has also meant that newsfeeds are more interesting and relevant. Likes, pokes, check-ins, etc. are now relegated to the ticker, freeing up the newsfeed for real updates and making it easier to surface the important stuff. But, like I said, this post isn’t about recapping the changes, it’s about what this means for how businesses use Facebook. If you manage a Facebook page, the first thing you would’ve noticed with the changes to ticker and timeline was the arse falling out of your impression numbers. Suddenly Facebook page posts were far less visible and while impressions are never the best metric to measure Facebook success, it is still the best number available as to how many people you could be reaching and how visible your are in general. Now if you don’t know much about Facebook’s EdgeRank algorithm, I’d recommend you read this and then come back. I’ll wait. Pages that have a low EdgeRank on their posts are going to find it even harder to reach their followers. So if you get low engagement, or your followers have very little affinity with you, you’re pretty much screwed. Even though everything still goes into ticker, you really want your posts to be surfaced in the newsfeed. Now from a user perspective, this isn’t such a bad thing. The whole idea behind EdgeRank is to ensure your newsfeed is populated with posts that are most important (in terms of affinity, relevance and time) to you. What this means for Facebook pages though is that they need to be doing more to engage their followers and posting content that elicits a response – no easy task as any page owner will tell you! My prediction from all this is that as it gets harder to reach your audience on Facebook, many brands will shift their efforts to Twitter where reciprocity – e.g. we have to follow each other to interact – isn’t mandatory. With most businesses struggling to appropriately resource social media, it often comes down to where you can have the most impact – and fast. Especially as it is doubtful they are adequately measuring, optimising and enhancing their social programs to find what works on Facebook, Twitter may start to look much more attractive. Twitter’s ability to reach out and connect with any other public profile is a huge selling point for the platform. In terms of acquisition, it holds far more potential for identifying and reaching out to partially qualified prospects than Facebook. To open the door for a conversation to begin, all someone needs to do is mention they are in the market for your product and BAM! you’ve got an opportunity to talk with them. At the University of Adelaide, we not only monitor Twitter for our brand keywords but also keywords and phrases relating to studying in Australia. This has opened up countless opportunities for us to be helpful and provide information about living in Adelaide, the Uni and the degrees we offer to people who are actively searching for it, many of whom have gone on to apply to study here. Now Facebook does a lot of things amazingly well and can genuinely be an online hub for your brand, but it doesn’t easily facilitate conversations with people who aren’t already connected to your brand in some way. While Facebook is too big to ignore and you would never ditch your presence entirely, the decreased visibility of brands on the platform may ultimately see more of them focusing their efforts on Twitter where the interactions can be more personal and immediate. Is Social Media Squishing The Adoption Lifecycle? Last month, it was reported that Google+ had racked up over 25 million users making it the fastest growing website in history. This prompted some – including some tech and social media royalty – to suggest Facebook and Twitter’s time was up and the future was all Google+. But at a time when some signs suggest we are suffering from social media fatigue, did Google read the zeitgeist and launch the next evolution of social networks or was their timing just incredibly fortunate? The hype on launch was deafening. If you worked and lived in social media, everyone was talking about it particularly when heavy hitters like Chris Brogan and Robert Scoble jumped on and declared it the way forward. The figure often used here is the length of time it took Facebook (3 years) and Twitter (30 months) to reach 25 million users but what most forget in that comparison is that the acceleration in growth correlates with an increase in connectedness. It can’t be understated how important this was in driving such rapid growth, the fact that we are more connected than ever before means that it is easier than ever to seed an idea provided it is compelling enough to your audience. In the case of Google+, the number of people actively playing in, not just on, social media for work and play gave it a ready made audience. The diffusion of innovation has now changed. Instead of a normal distribution, the front of the curve where the innovators and early adopters live is getting squished as we adopt innovation faster than ever before. Before Google+, it was the iPad that smashed all records for consumer electronics adoption in a market that previously didn’t exist. Social media is driving this by empowering consumers and changing their behaviour to become active participants in media and technology. Every blog, tweet, check-in and status update can cause innovation to be diffused not only faster, but to the right people who can amplify and seed it further. Hat-tip Martin Read for the inspiration for this post from his tweet several months ago (alas, I couldn’t find the link). Every time when brainstorming, planning or generally creating, I try to reflect on those words to keep things in perspective. Our natural inclination when designing anything whether it be a new website, campaign or Facebook page, is to cram into it as many shiny new things as possible. You will no doubt be familiar with the incessant tinkering and growing functionality that occurs without a tight scope and good leadership. When you work in marketing or advertising, it’s easy to get excited about what’s new because we all want to push the envelope and stand out from the pack. The danger comes when we push things that little bit too far and we bolt on more features then necessary that it stops making sense to the consumer and becomes a confusing mess. The secret then is to keep it simple and focused on what matters to our customers. Google destroyed Yahoo, Alta Vista and all the other search engines because it did what it did really well and put user needs front and centre. You type in a keyword, hit search and get back pages of relevant results. No muss, no fuss. The best mobile apps aren’t the ones that try and do everything but are focused on a particular utilitarian task. They don’t try to cram in a whole load of features that might not get used and focus on the cherry on top. The reason why I was inspired to right this post is because of a great book – actually, more like a manifesto – I read by Steve Pressfield, author of The Legend of Bagger Vance and The War of Art. Entitled Do The Work, it addresses the challenge artists face about overcoming internal resistance, putting your head down and getting to work. One of the techniques he suggests to stay focused is to think like a screenwriter or playwright and boil your project down to three acts: a beginning, a middle and an end. Act One, Act Two, Act Three. Each page owner determines who is permitted access to his or her page. Thus creating a worldwide community of “friends” who can interact with other “friends” and communicate or share virtually anything they want. Everything in-between is filler; the tactics undertaken to get from 1-2-3. Next time you sit down to develop your idea, first try and explain it in three sentences. Having this fundamental understanding of the what and the why could mean the difference between setting yourself up for failure and delivering a successful project in-scope and on-budget.